For me today was a day filled with fun! I had a pool party at my place, then went to Bobby's fashion show, and, if that wasn't enough, I went to the Beach and to Nemo's Dive. 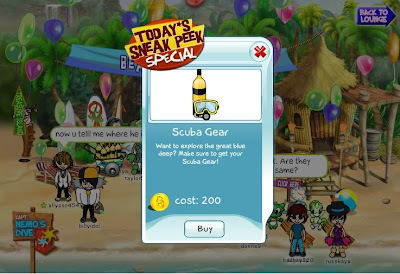 When I stopped by the beach, I wasn't expecting to find a Sneak Peek Special on the Scuba Gear. What a surprise! And definitely a good one! Of course, I took advantage of the offer, and needless to say... ended up trying it out at Nemo's Dive just seconds later. 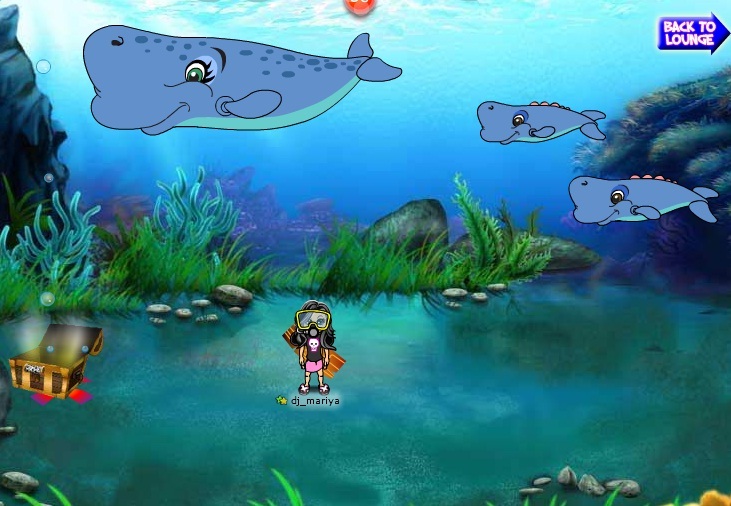 I saw mama whale with her little ones (how cute) and also decided to participate in a treasure hunt. Well, it is obvious from the open chest above that I found the treasure :D And it really was a treasure - more than 1,800 shills were added to my bag-o-shills. YAY! Do you like scuba diving? If so, don't miss the opportunity to get the gear you need while it lasts.